Does Happiness Define the Good? 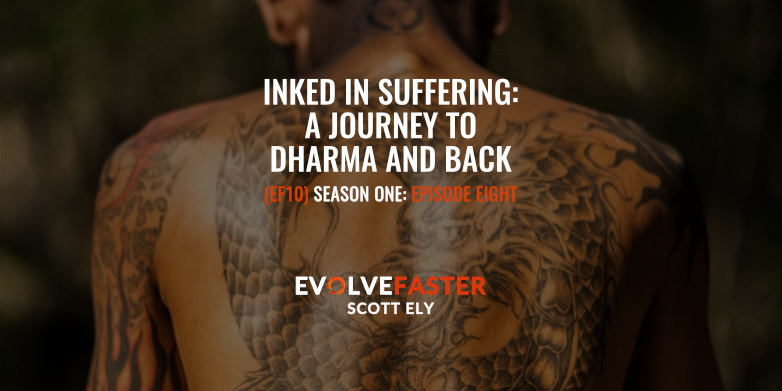 The big question driving Episode EF10 is … Does happiness define the good? We need to be happy to feel good. Even a 4-year-old child knows this somewhere in the chaos of their still-evolving mind. Thus, it seems logical the closer we are to becoming happy 24/7, the better. But when was the last time you met someone who achieved this? And have you ever thought through the practicalities of such a scenario? Although as a society we’re trying extremely hard to be happy, it doesn’t seem we’re doing too good of a job. Even worse, when we finally achieve happiness, it doesn’t take long for the sunny day to turn into a thunderstorm. So is it possible we got the entire idea wrong? Maybe happiness isn’t the only ingredient towards a good life? Perhaps we do need a healthy amount of sadness, anger, frustration, in which case, it’s rather all about finding the balance. Coming from a wealthy family, most others would only dream of the life Alex leads. Every moment is another silver platter where he is handed all the best education, can have his pick of expensive items and to experience seemingly infinite joys. Although grateful for everything, Alex can’t shake the reality he isn’t happy or fulfilled by any of this at all—nor could he really even define what happiness would look like for him. But why? What could possibly be missing when having everything you want? “It’s not about the destination; it’s about the journey.” This trite expression is one of the modern favorites in a bin of overused cliches we tell ourselves when we start to lack that next hit of happiness. But is it really trite or just misunderstood? Being a cliche doesn’t necessarily make something wrong. Instead, that comes when we don’t actually change things in order to live by the message of such wise life lessons. From Ancient India and Greece, to modern Western Culture, we can find countless theories on what happiness is and how to attain it. So why is our ability to attain it no better today—and, by some measures, on the decline—even after thousands of years of intellectual progress? SHOW NOTES: This episode is dedicated to Kurt Vonnegut. See the EF10 Show Notes for details of the dedication, inspirations, references, selected quotes and more. 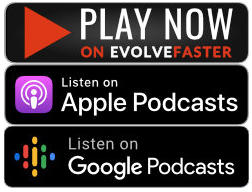 SUBSCRIBE: The Evolve Faster Podcast is written, performed and produced by Scott Ely. 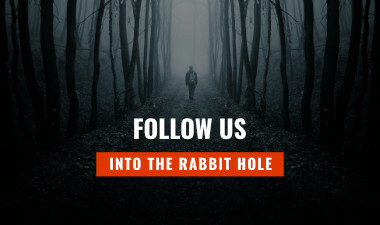 Writing and production of each episode of the podcast is a significant undertaking spanning many months—it’s a labor of love, but it needs your help to survive. 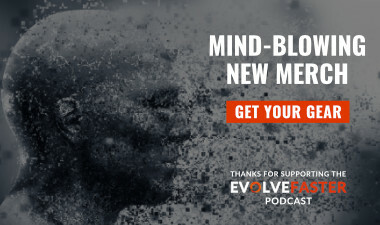 To help ensure the creation of more episodes, please learn about ways you can support the podcast (register, share, review and subscribe) on the Support Evolve Faster page. Your help is much appreciated. 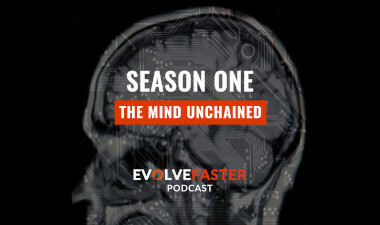 Season One: The journey begins as we embark on 11 episodes on big questions relating to MIND. What is the truth? Can we trust reason? Why do we have emotions? Does happiness define the good? What is identity? What is creativity?